As the eCommerce domain continues to be extremely competitive, store owners are trying to differentiate themselves from the rest of the market. One such differentiating factor that has the potential to garner attention is how you are handling pricing on your store. Customers are always looking for the best deals for a product, and only very few stores would want to go without any discount deals. In the WooCommerce perspective, we have discussed quite a few strategies related to setting up pricing deals. In this article, we will compile a list of some of the best WooCommerce Pricing and Discount plugins. According to expert opinion, value-based pricing can help you go the extra mile when it comes to customer satisfaction and long term goals. Often store owners resort to the simplest pricing strategies which will be cost based or competitor driven. The downside is that cost-based pricing is never considering the requirements of your customers. And, competitor driven pricing will be a shot in the dark, and totally dependent on another company, who may or may not have done their research. The focus of value-based pricing is to ensure that customers are satisfied with the perceived value they get by paying you the price of the product. This approach would mean that you are meeting customer expectations and fostering long term relationships with them. Though it is a pretty interesting concept, implementing value-based pricing involves a good amount of background research. You need to identify your customers well, and delve into the specific aspects of their purchasing behavior. You may be able to pick out their product preferences, brand recognition, and understand their perception of value. All this should lead you to derive at a realistic price point for your products. If you have identified several customer personas on your store, you can even consider segmented pricing. Now, irrespective of the pricing strategy that you are using, you will find some flexible WooCommerce plugins to implement them. You will be able to execute complicated pricing patterns automatically on your WooCommerce store. Let us take a look at the features of some of the popular WooCommerce Pricing & Discounts plugins. This is one of the most comprehensive pricing plugins available at the moment. It helps you create price adjustments and discounts at multiple levels on your store. 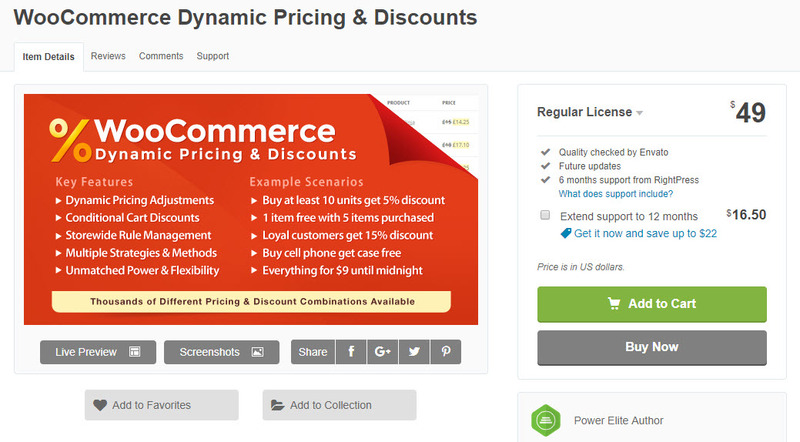 You can apply dynamic discounts at product, category, cart levels, and even by a combination of these levels. You will be able to apply discounts as a percentage value or a flat rate. It even allows you to create a fixed rate dynamically for your products based on the rules you define. More importantly, the plugin ensures that the discounts never exceeds the threshold value that you set. Displaying offers to customers properly is an important aspect in implementing pricing deals. ELEX Dynamic Pricing plugin helps you in this regard by offering an option to display the pricing table and offers table on the product page. You can also offer Buy One Get One (BOGO) deals and provide specific discounts to customers based on user role or order history. 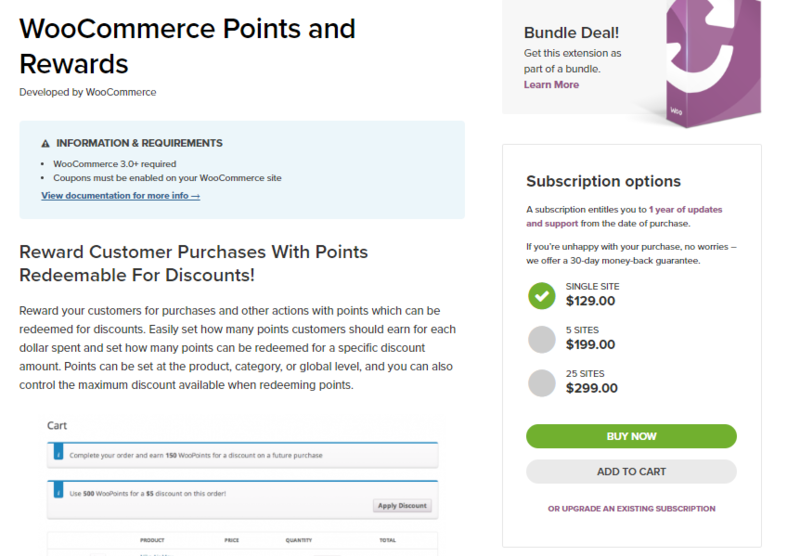 The plugin also helps you configure cart rule discounts based on shipping method, payment gateway or product attribute. You can purchase the single site license of this plugin for $79. The 5-site license is $119 and the 25-site license is $199. You will be able to configure a set of simple and advanced pricing strategies on your site with the help of this plugin. As seen with the above plugin, you can set up price adjustments, percentage adjustments or assign a fixed price to the product. You will be able to set up bulk discounts on your store with the help of this plugin, which would encourage shoppers to buy more quantity of products from you. This can be configured at the product level or category level according to the order patterns on your store. 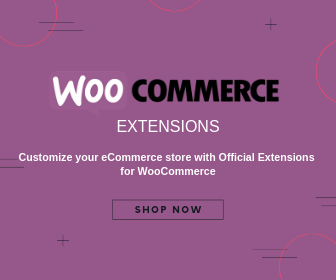 This is a flexible plugin that will help you set up a variety of price adjustments on your WooCommerce store. In addition to helping you set up a variety of sales, bundle deals, bulk discounts, etc., you can use this plugin to set up segmented pricing based on user roles or location. You can even set up flash sales with the help of this plugin. The plugin also provides options to reward customers, when they reach certain landmarks in terms of money spent, or orders completed. It makes use of conditional logic extensively to help you set up unique discounts on your store. This plugin is flexible enough to help you execute multiple pricing strategies and methods. The regular license of the plugin would cost you $49 on the CodeCanyon website. For any kind of discount or pricing deal that you plan on your store, this plugin will have an answer. You can provide a discount to customers based on the cart amount or provide a discount to a product based on the quantity of items purchased. When you configure a discount with this plugin, you can choose to apply it specifically to certain products, categories or tags. If you want to offer special discounts to users based on their purchase history, this plugin offers an option for that too. You can decide and set up a time frame for which a particular discount will be applicable to. It also helps to display available deals in a strategic manner to enhance conversions. For example, you can display the quantity of items a customer needs to purchase to avail the best possible discount. You can also show the discount percentage to let the customers know how much money they are saving with the purchase. The plugin offers useful features to display available discounts to prospective customers. The single site subscription of the plugin is priced at €79,99. For 6 sites, it is €129,99 and for 30 sites it is €169,99. This is a popular and powerful option to provide discounts to customers while offering complete control to store owners. You should be able to improve customer loyalty and overall sales on your store with several deals and loyalty programs. Bulk discounts, role based discounts, BOGO deals, etc., are some of the options you can configure with this plugin. You can also schedule the deals with a start and end time, and display the deals anywhere on your site. 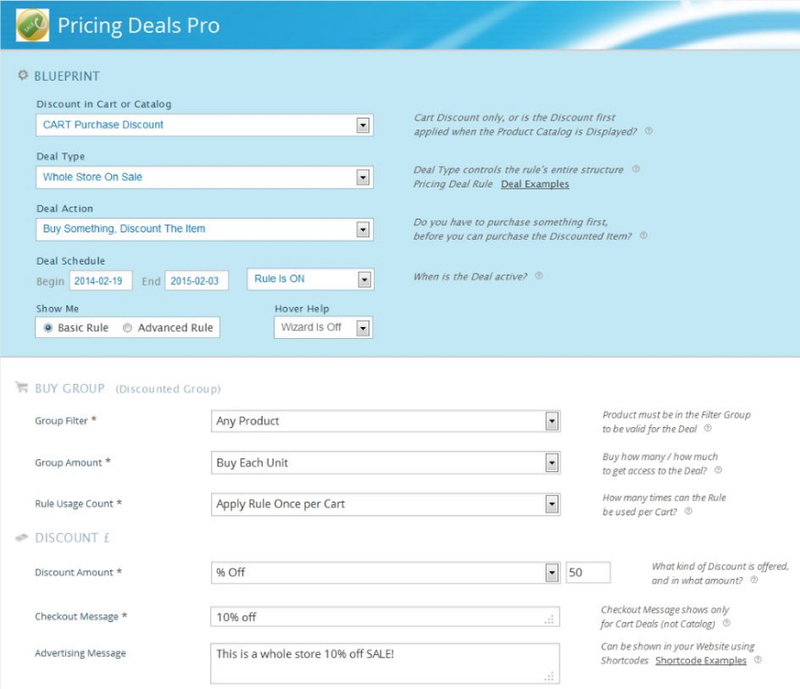 Pricing Deals Pro offers a clear user interface to help you set up your discount strategies. Moreover, the plugin helps you modify the visibility and purchase ability of your products to enable wholesale or membership-based sales. You will find 4 license deals to purchase this product, starting with a $50-single site license. If you are looking to set up segmented pricing and selective visibility on a WooCommerce wholesale store, this is one of the best options out there. The plugin helps you enable catalog mode in a single click, where only specific users will be able to purchase from your store. And for each user role, you can create a different price for individual products. You will find a lot of flexibility while using this plugin, as you can customize different aspects effortlessly. Depending on the requirements, you can change the text of the Add to Cart button, or hide it all together to certain customers. Similarly, you can hide price, or disable access to Cart and Checkout pages. The plugin works smoothly for simple, grouped and variable products, and it helps you create new user roles. The single site license of this plugin would cost you $69. There is also a 5-site license at $99, and a 25-site license at $199. This is another plugin suitable for a wholesale website. It helps you automate the pricing arrangements that you make with your several wholesale buyers. 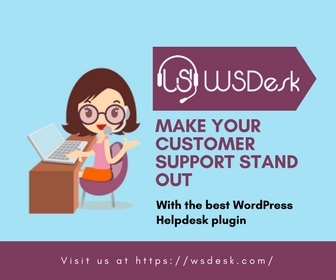 With the help of this plugin, you can set the right price for each user role, and offer a hassle-free experience to customers. Though the plugin doesn’t have the capability to create user roles, you can very well use it with one of the popular user role editor plugins. 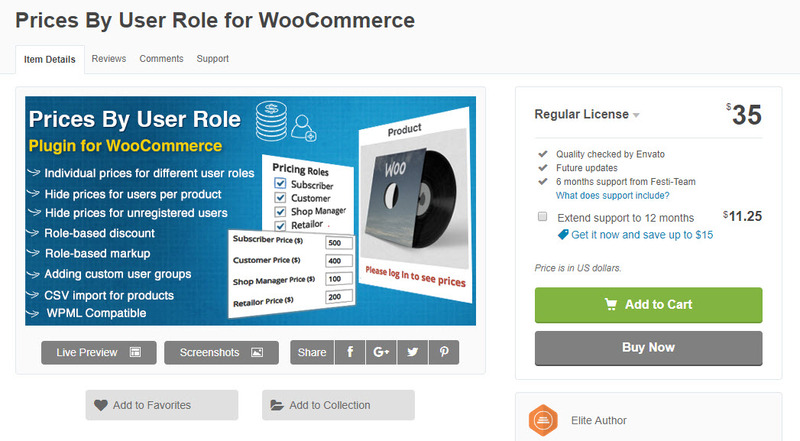 This plugin helps you set up role based pricing for products or categories on your store. You can create role-based rules to enforce several purchase conditions on your store. You can also apply role based price adjustments at product level, or even based on categories or tags. In case, you are not displaying a price to a user, you can show a custom message instead. The plugin also helps to modify the tax display options according to specific user roles. The single site subscription of this plugin is priced at €59,99. For 6 site, you need to pay €89,99, and for 30 sites, €129,99. This is another comprehensive option to set up role-based pricing on your store. You will be able to set up a role based price or price adjustment according to your store strategy.You can hide price or Add to Cart button from a specific set of users according to your requirement. For non-registered users, you will be able to display a custom text in place of price. You will be also able to display the savings percentage on the product page to encourage users to purchase. It allows a CSV import of product list including variable products. Another standout feature of this plugin is that it helps you hide categories based on user role. This plugin too helps you set up a diverse pricing plans based on the different user roles on your website. 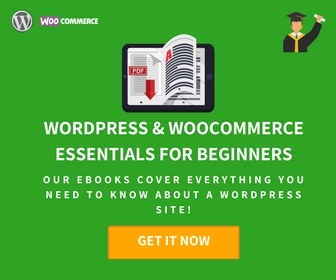 Please note that the plugin won’t work with WooCommerce subscription plugins, and a few other ones that alter the basic functionality of variations on WooCommerce. You can purchase the regular license of this plugin at $35. 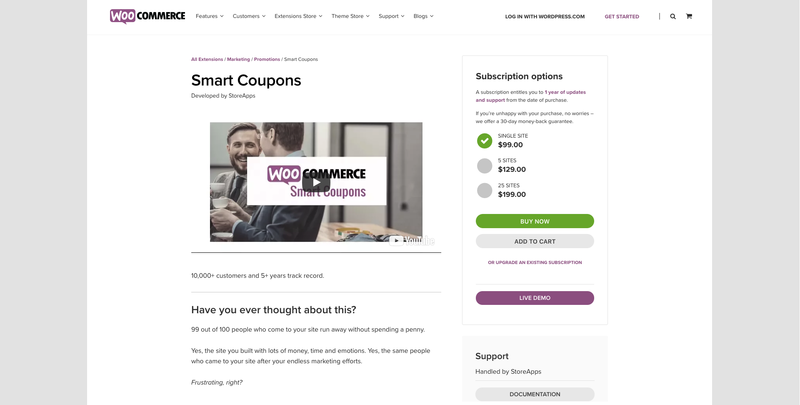 Though we talk about setting up complex pricing and discount rules on your WooCommerce store, you can’t ignore the power of coupons. This plugin would be a great asset if you are looking to offer discount deals through coupons. You will be able to bulk generate coupons and email them to relevant customers pretty effortlessly with this plugin. It allows you to connect the issue of coupons with the purchase of specific products. And, it makes applying coupons easy for customers – the available coupons will be displayed on Cart and My Account pages. You will be able to customize your coupons according to the design and layout that you prefer. The plugin also helps you establish a strategy around a store credit system and gift certificates. Purchase the single site subscription at $99. 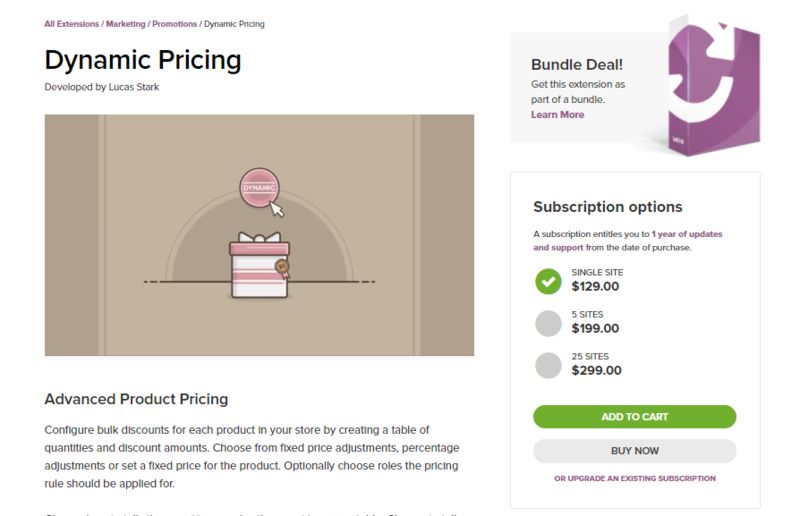 The 5-site subscription is $129 and the 25-site subscription is $199. You can make the process of offering discounts and price adjustments more interactive with this plugin. 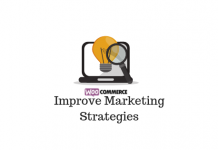 In fact you will be able to encourage customers to be more interactive with your site. The plugin helps you offer reward points to customers for purchases as well as other specific actions on your site, like leaving a review. The points can then be redeemed to avail discounts on your store for future purchases. This would be a great way to improve customer loyalty on your store. The plugin helps you define the points system in a way that suits your strategies. It allows the store owner to keep the control by restricting the maximum discount that can be earned by redeeming points. Moreover, the plugin automatically updates the point information related to each customer account, and thus makes it easy to use. The single site subscription of this plugin would cost you $129. For 5 sites, it would cost you $199. $299 will get you a 25-site subscription. Having a great pricing strategy is really hard work. You need to employ all the available store data to derive actionable insights. Once you are clear about your pricing strategies, you can make use of one of the above plugins for a hassle-free execution. Share with us a query or an insight you might have by leaving a comment below.